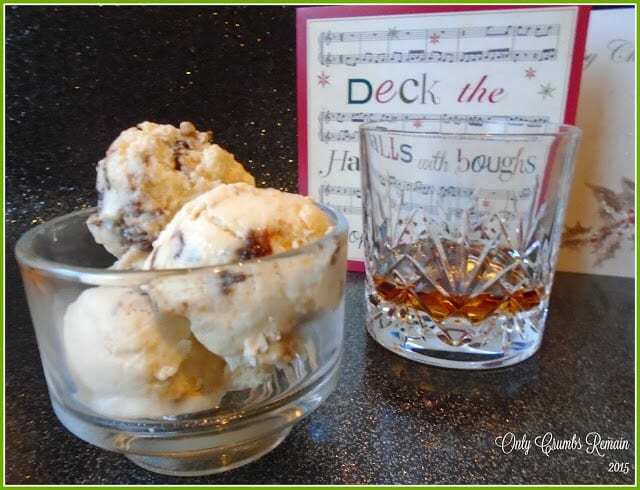 Made with Christmas Pudding, this delicious ice cream is a great way of using up any left overs you may have this festive season. One of my favourite desserts over the festive season has to be the traditional Christmas pudding. Packed full of fruit, spice and perhaps a hit of alcohol, it’s just so deliciously warm and comforting when served with a lovely brandy sauce. It’s just like a great big hug in a bowl. Following a large Christmas dinner with all of the trimmings, you may find, if your household is like ours, that a substantial amount of the pudding hasn’t been eaten! Perhaps your guests only fancied a small portion, or maybe none at all if they’re like Mr E! So what to do with the remains of the of the fruit packed pudding and brandy sauce. Yes, you could cover it over and squeeze it into the fridge to eat the following day, alternatively why not quickly rustle up an ice cream with it? 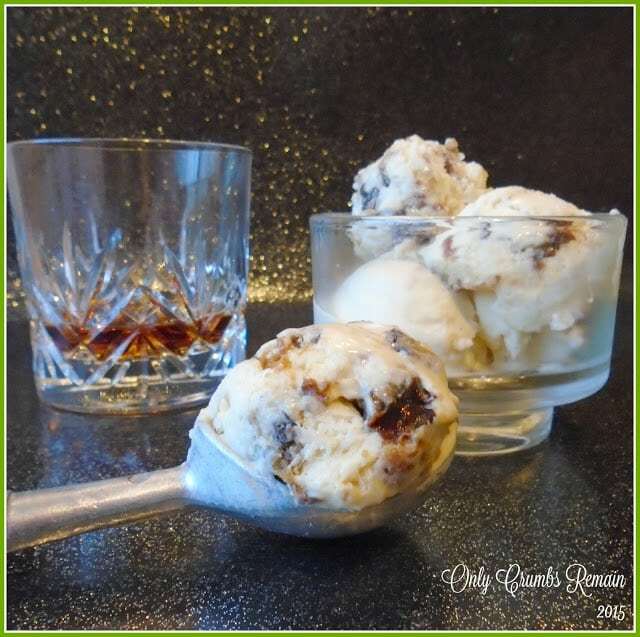 Enter the Christmas Pudding and Brandy Sauce Ice Cream! Mmm, ice cream. Christmas pudding. A drop of brandy. Delicious! 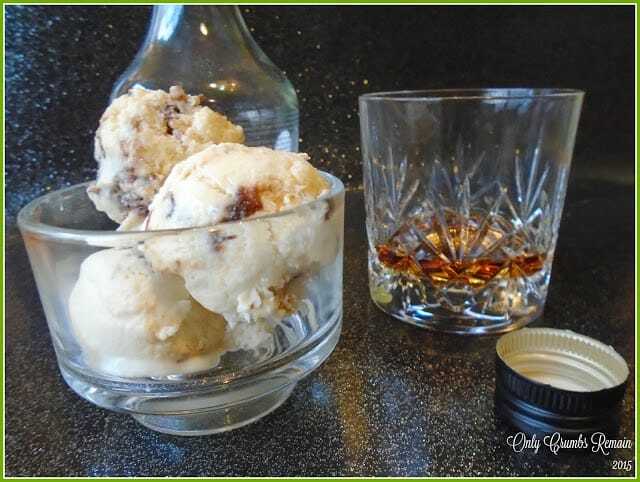 As the ice cream base is made with brandy sauce, a white sauce to all intents and purposes, it isn’t as light as a traditional ice cream plus it’s a lot richer. But that’s certainly not to say that it’s not good. It really is good. The flavour and the warmth of the brandy sauce comes through a treat, and when you encounter a chunk of the Christmas pudding there’s even more joy to tickle the taste buds! Clearly when making a brandy sauce, you’re able to add as much of the liquor as you fancy. However, when your intention is to freeze the sauce to make a dessert it’s advisable to be mindful of the amount of brandy you’re adding as the alcohol itself will affect the freezing point of the dessert. Too much and the dessert wont freeze. Too little and you’re unlikely to taste it! And where’s the pleasure in that? Many brandy sauce recipes call for 5 tablespoons of the alcohol to be added to the pouring sauce. I found that 3 was plenty and once it was made into an ice cream the brandy flavour was still very much in evidence. I was pleasantly surprised at that, thinking that being a cold dessert the flavours would be muted, but they weren’t. All of my tasters had no trouble picking out the brandy. I found this site useful when reading about the action of different alcohols in ice cream. The recipe below goes through the making of the brandy sauce from scratch and then the freezing of it with the crumbled Christmas pudding added to it. However, should you decide to try this rich ice cream dessert with your left-overs, then simply follow steps 1, 4, 5 and 6. It’s a great way to create an extra dessert from the Christmas meal! I’ve not tried shop bought brandy sauce in this dessert, though it should work just as well – however do consider the volume of alcohol in the product. 4. Cool the brandy sauce. Once the sauce is made, pour it into a Pyrex jug (or similar) and cover with cling film. Ensure the cling film is in direct contact with the sauce to prevent a skin from forming as it cools. Once cool enough place into the fridge to chill. 5. Make the ice cream. Once the brandy sauce is cold, set up your ice cream maker. Turn the machine on and pour the sauce in. Churn the ice cream until it reaches soft ‘Mr Whippy’ stage, the time duration for this will depend on each machine but as a guide ours took about 18 – 20 minutes. Using a spatula tip the ice cream into a plastic freezer safe oblong container. 6. Flavour the ice cream. 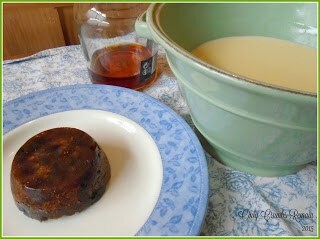 Crumble the cooked and cooled Christmas pudding into the brandy sauce and mix gently. Replace the lid and freeze the ice cream for about 2 -3 hours to firm up. If the ice cream has been frozen for longer than this you may need to remove the ice cream container from the freezer for 5 – 10 minutes to soften a little before scooping and serving. OMG… YUM! This looks like all sorts of deliciousness and I swear, I can almost taste it… YUM! 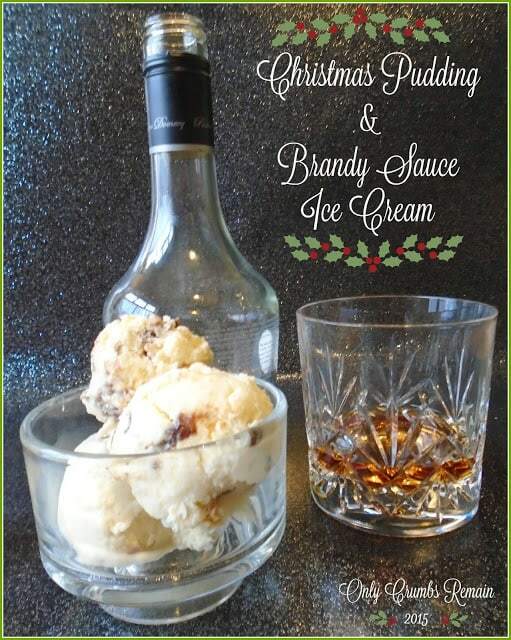 It really is Kirsten, if you love Christmas pudding & Brandy Sauce, you're sure to love the ice cream version! Even though it's obviously a cold dessert, the flavour of the brandy and that of the pud came through a treat. We're the same as you, we always seem to have some Christmas pudding leftover in the fridge. This looks like a really delicious way to use it up. Indeed, it's so easy to wrap it up and pop it into the fridge only to forget about it and then throw it away.